Mrs. Salina Ali is a prominent business personality of the country having interest in Real Estate, Hospitality Management & Tourism, Banking Services and many more. 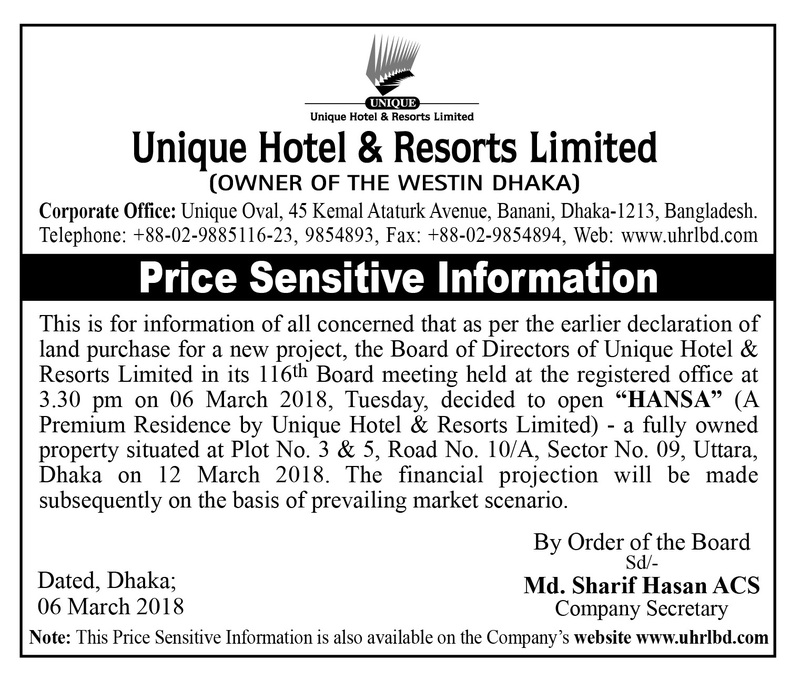 She is the Chairperson of Unique Hotel & Resorts Limited as well as Unique Group - a renowned business conglomerate in Bangladesh. 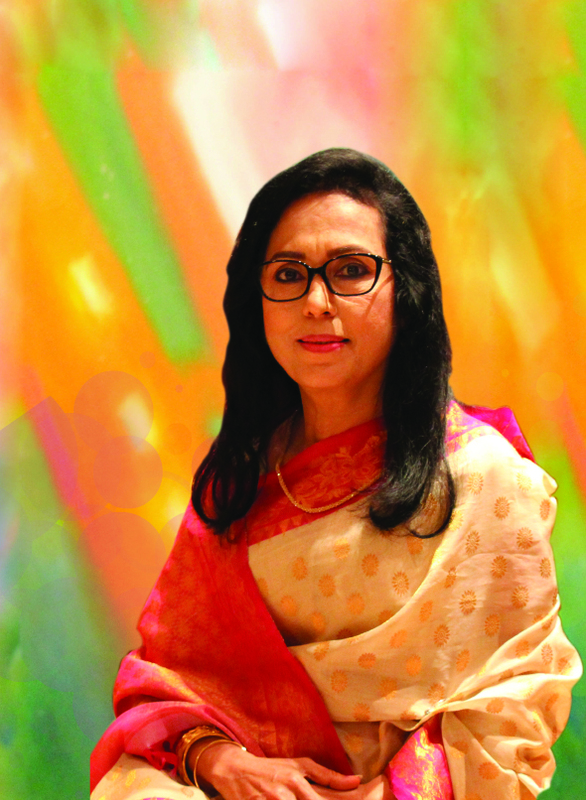 Mrs. Ali has been involved with The Westin Dhaka from the very beginning of its commercial operation. Mrs. Ali re-joined as a Director of Eastern Bank Ltd. on 28 March, 2012. She is also a Director of Borak Travels (Pvt.) Ltd., Unique Eastern (Pvt.) Ltd., Borak Real Estate Ltd. and Unique Ceramics Ltd. Mrs. Ali accomplished her Bachelor’s (honors) & Master’s degrees in Sociology from the University of Dhaka. She was born in an aristocratic family of Bangladesh in 1958. She is involved in many social and philanthropic activities. Mrs. Ali has travelled extensively across the globe on business trips . Md. Khaled Noor is a nominated Director on the Board of Unique Hotel & Resorts Limited, representing Borak Real Estate Limited. He was born in 1975 in Lakshmipur. Mr. Khaled accomplished his Bachelor (Honors) in Economics from the University of Delhi. Mr. Khaled is the founder CEO of Noor Trade House, a leading food service importer of Bangladesh. He was the former CEO of Unique Enterprise & Unique Tours and Travels. Mr. Md. Khaled Noor is a widely traveled person and attended quite a few sales & supply chain management training programs. He also participated in many business conferences & seminars at home and abroad, including Australia, German, USA, Thailand, Hong Kong, Malaysia, Singapore, China and India. 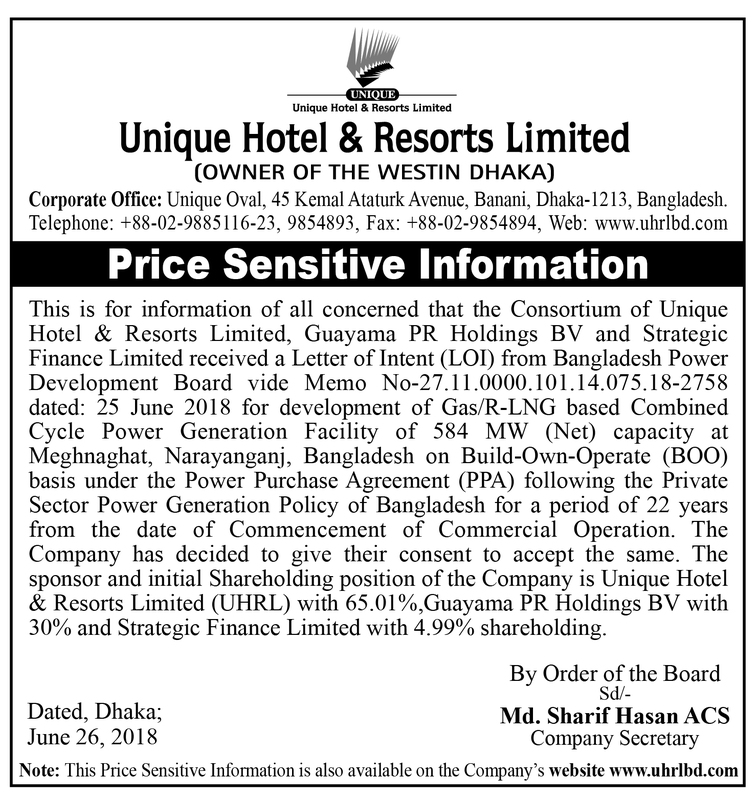 Mr. Chowdhury Nafeez Sarafat is a corporate leader with a track record of leading large teams as multifunction head. Mr. Sarafat possesses experience of leading strategic initiatives in the field of various financial and education sectors. Over the years, he had served various renowned financial institutions. He holds a Master in Business Administration (MBA) from University of New Castle, UK. Mr. Sarafat is the Chairman of RACE Management PCL and ARGUS Credit Rating Services Ltd., the Sponsor Director of Farmers Bank Ltd. and the Chairman of Audit Committee of same institution. 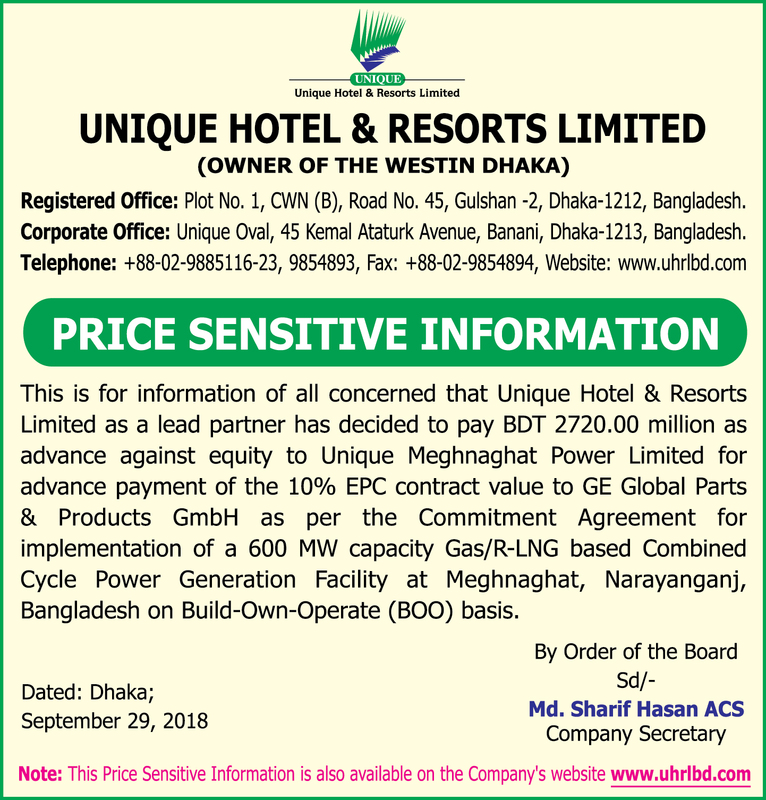 He is also the Sponsor Director of LIC Bangladesh, the only insurance company with the highest ever paid-up capital worth BDT 100 crore of the country. Other than this, he has significantly contributed the industries by successful large scale Mutual Fund, Private Equity and Bond closing, while bringing efficiency in other business lines. His appearance in the field of education is well appraised as he made notable contribution for education of children and adults in rural areas, those who lives below the poverty line. From the dream of equal education for all, managed and ensured quality education for deprived children and adults by donating in different NGOs and educational centers in rural areas of the country. To take this nobility forward, he has voluntarily taken the initiative to establish a “Canadian Education Hub” within the capital of Bangladesh. Canadian University of Bangladesh (CUB), of which Mr. Sarafat is the Founder Chairman of Board of Trustees, is a part of this hub. The licensed university has embarked on the mission of improving education sector by embracing values of the world-class Canadian education system in Bangladesh. Canadian Education Hub aims to include a College, Secondary School, Primary School, Kindergarten and an Academy in future. He is also the President of Canada-Bangladesh Chamber House. Mr. Sarafat has attended numerous training programs and workshops (Locally and Internationally- Canada, Singapore, Germany, Korea, Thailand, Malaysia, China, India, Australia, United States of America, South Africa, New Zealand, Middle East etc.). His proven track record of establishing business & operational excellence, fostering team spirit and leadership qualities, knowledge development and structured analytical approach are the keys to the tremendous success of the respective organizations.